Whether you're interested in pursuing design or professional photography, you'll likely build your career with Adobe's creative tools. 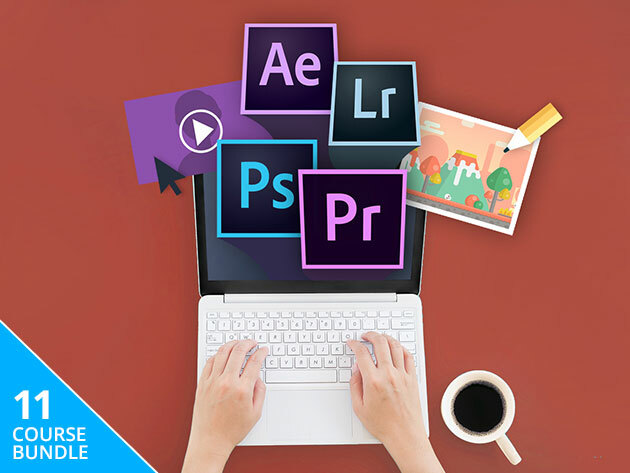 From Photoshop and Lightroom to Premiere Pro and After Effects, Adobe provides designers, photographers, and video editors with the tools to do their jobs, and you can master them as well with help from the Complete Adobe Mastery Bundle. Packed with 11 courses on Photoshop, Lightroom, After Effects, and Premiere Pro, this collection will take you from beginner to expert with these programs. You'll start with essential editing tools and hacks in Photoshop. Then, you'll move on to editing videos in Premiere Pro, creating video intros in After Effects, and more. Plus, this collection even comes with insight for helping you launch your own freelance career, so you can take the next step toward working in this field right away. The Complete Adobe Mastery Bundle usually retails for $2,189, but you can get it today in the Boing Boing Store for only $39.